"Hm? Indeed it is, my little Wistle. But the effects of it can be quite a riddle." Zecora rhymed as she glanced at the flower, thinking of the day when little Applebloom had learned what it does if she ate it. "To be eaten by a pony it causes a shock; a sickness known as the Cutie Pox." Wistle took a step back. She had heard about the Cutie Pox, but she never saw it. "Well, I have heard of that, did by any chance was it caught by a filly with a sister who has a hat?" When she was in Ponyville one day, she had heard somepony talking about when a pony called Applebloom had caught it. 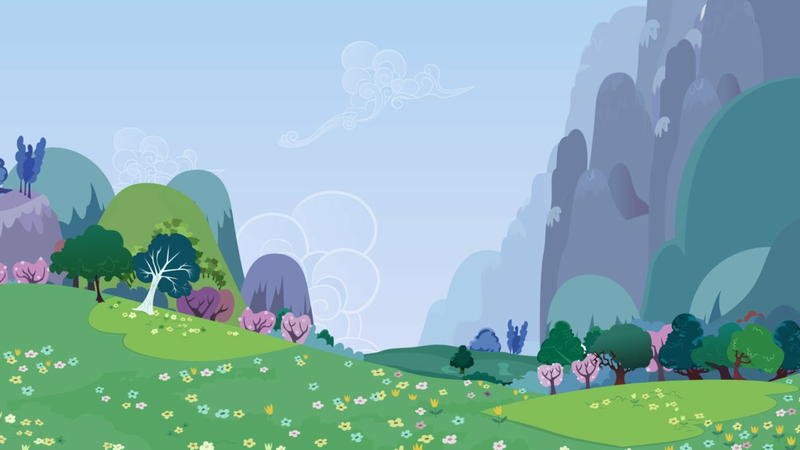 "Indeed, Applejack's sister, sweet little Applebloom, she thought it would bring joy but all it brought was gloom," Zecora hummed as she remembered when she had traveled into Ponyville and had found that Applebloom had eaten the Hearts Desire. "Never had I seen a pony with a look so sad, when I cured it, boy, was she glad." Wistle, who nods a lot, nodded. "Could that be a cure I learn soon? If you say no, it won't cause gloom." Oh, how this pony loved remedies and cures, potions and teas.. Geez, good thing she is here, am I right? "Hm; a very good thing to know how to cure; but the cure is simple; I insure," she paused as she glanced at a jar with a group of seeds sitting in, grabbing it with her hoof to show to Wistle. "This is called the Seed of Truth; which to grow requires a sooth. Plant it and when a truth is said nearby; it grows and is eaten to be applied."